As we celebrate our first year of publishing, it is apposite to pause for a moment and look back at all that has happened, before we launch into busy and exciting plans for the future. Most pleasing is the wide readership our books are reaching – in one year, our books and journals have reached a combined total of over 35,000 readers in over 160 countries round the world. That’s an average of nearly 3,000 downloads per book. In an age when many scholarly monograph publishers report sales figures of around 400 copies in print, it’s a really encouraging response. Our open access model is proving to be very popular with authors too and we have had well over 150 book and journal proposals. Since we launched in June 2015 as the UK’s first fully open access university press, it has also been interesting to see the publishing landscape changing and more new university presses spring up, many of them also open access, including Westminster University Press, White Rose University Press and Cardiff University Press. Goldsmiths also launched its new press recently with a mission of publishing innovative and less constrained academic works. the forward programme is building up quickly. In 2017 we are on course to publish 35 books and several more journals. Later this year and next year we look forward to publishing our first textbooks, on plastic surgery and public archaeology. We are publishing our first popular science book called Why Icebergs Float (Andrew Morris), a book that examines urban food production as a potential solution to the global food crisis (Sustainable Food Systems by Robert Biel), and our first BOOC (Books as Open Online Content), an innovative digital format that will launch with the outputs of the Academic Book of the Future project, an AHRC/British Library project led by academics at UCL and Kings College London investigating how scholarly publishing will look in years to come. There is a lot to celebrate, but most important of all is our authors and journal editors. We feel incredibly honoured that so many talented academics from UCL and beyond have chosen to publish with us, a new press with an alternative business model, and we look forward to working with them on more exciting projects in the coming years. And indeed, it is our business model that is driving our authors to choose UCL Press. As demonstrated in the figures above, open access means that books and journals are read and distributed globally in significant numbers. And what could be more important for scholarship? It is one of the noblest duties of a university to advance knowledge and to diffuse it not merely among those who can attend the daily lectures but far and wide. When UCL Press launched in June 2015 as the UK’s first fully open access university press, we did not have a sense of the level of readership we might attract. We were confident that via open access we would reach a wide readership and we knew from other open access publishers the kind of figures they were achieving. We also knew that downloads of articles and PhD theses on UCL Discovery, where UCL Press’s titles are stored, were very encouraging. With typical print sales for scholarly monographs now often estimated at around 200-500 copies worldwide, and the difficulties of access to print books in some parts of the world, open access can clearly be seen to deliver on readership. The reasons for the variance in download figures between the individual books are numerous and can not always be easily pinned down, but can include: the size of the potential market, the promotion undertaken, associated events and anniversaries that help promote the book, and the author’s involvement in promotion. John Byron, executive director of the Australian Academy of the Humanities, cautioned that ‘a failure to disseminate research will be read as a failure of quality’. 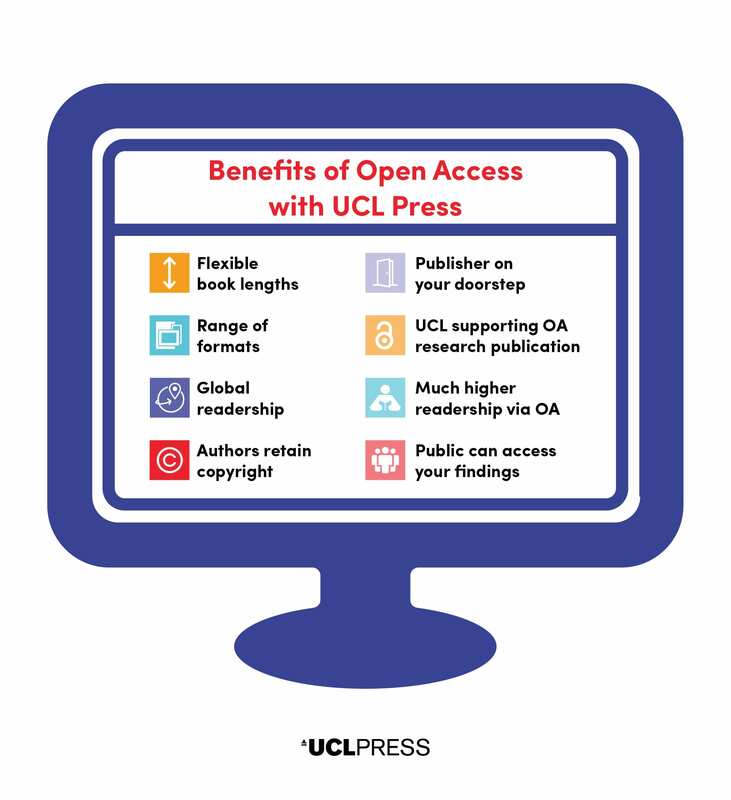 The goal of UCL Press and other open access publishers is to disseminate research widely and these figures show encouraging results after just a few months. This post previously appeared as UCL Press news. 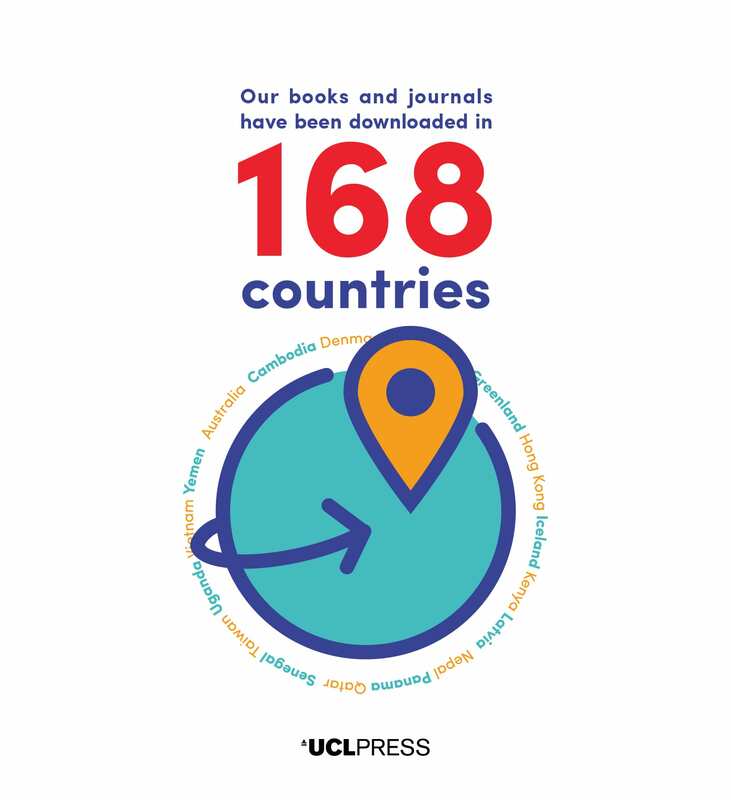 The six months since the launch of UCL Press have been extremely busy. 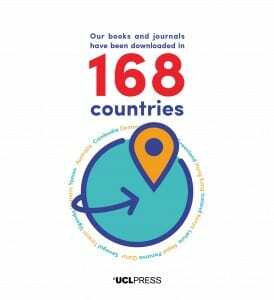 During this time, UCL Press has managed to launch eight open access books, two journals and managed an extremely successful Open Access conference with over 120 delegates (with assistance from UCL Open Access and UCL Discovery). The UCL Press team have also spoken at a number of events- Society for Young Publishers conference, Academic Book of the Future projects showcase evening at the British Library and the Futurebook conference, to name but a few- and contributed articles about the press to UKSG enews andInsights. We were also deeply saddened to hear of the death of Lisa Jardine, Professor of Renaissance Studies, Director of the Centre for Editing Lives and Letters, and author of UCL Press’ inaugural title, Temptation in the Archives. Professor Jardine was a distinguished scholar, and we are honoured to have published her final work. Journals currently published by UCL Press include Architecture_MPS(Architecture Media Politics Society) which addresses the growing interest in the social and political interpretation of the built environment from a multi-disciplinary perspective and London Journal of Canadian Studies, an interdisciplinary journal specialising in Canadian history, politics and society. From early 2016, our rapidly growing journals programme will also include Jewish Historical Studies: Transitions of the Jewish Historical Society of England, which has been published since 1831. Proposals for short monographs are invited from UCL authors wishing to make new or defining elements of their work accessible to a wide audience. The series will provide a responsive forum for researchers to share key developments in their discipline and reach across disciplinary boundaries. The series also aims to support a diverse range of approaches to undertaking research and writing it. We welcome proposals for books of 35,000 to 45,000 words from all disciplines that share any of these aims. 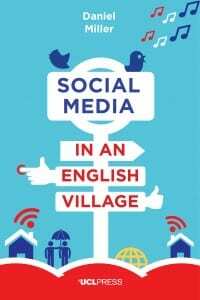 The books will be published free in a digital Open Access form, and will also be available to buy in print at an affordable price. The AHRC/British Library Academic Book of the Future Project invites submissions for its BOOC (Book as Open Online Content), which will capture and publish outputs of the research project. 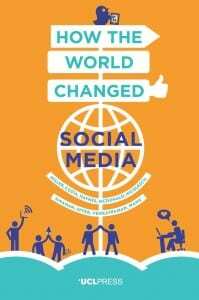 The content will be published as a ‘live’ book on an innovative, online and open platform hosted by UCL Press. Authors are welcome to discuss any aspect of academic publishing and its future; for example, peer review, the role of the editor, the academic bookshop of the future, copyright, libraries, open access, digital publishing and technology. Suitable content will undergo peer review before being published. Formats may include, but are not limited to, videos, blogs, podcasts, short monographs and articles, and authors are invited from all areas of the academic publishing and bookselling communities. The BOOC will be launched in Spring 2016 and new content will be added throughout the year. Contact: Sam Rayner, Principal Investigator of the Academic Book of the Future Project with abstracts of proposed content (500 word max. ).